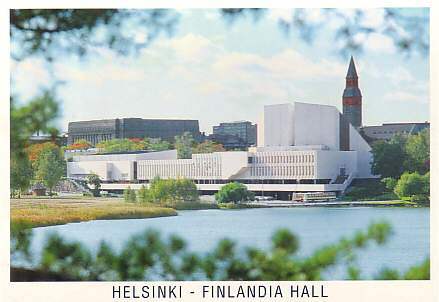 "Finlandia Hall". Concert halls built 1967-1972 by Alvar Aalto. 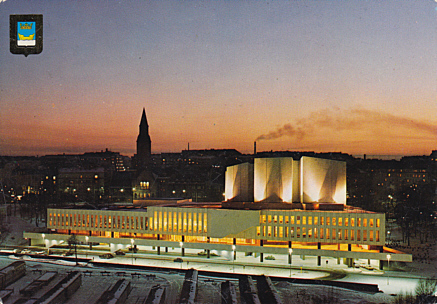 1973-1975 addition of a congress wing by Alvar Aalto. 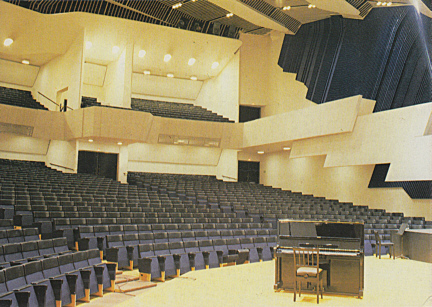 The complex includes several halls, 23 conference rooms, a rehearsal hall, a 400-seat restaurant, and a café. 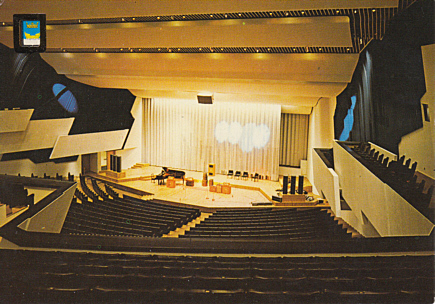 Finlandia Hall: Used for symphonic and pop concerts, congresses, and galas. Home to the Helsinki Philharmonic Orchestra and the Finnish Radio Symphony Orchestra. 1700 seats. 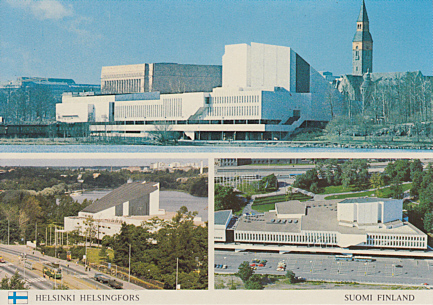 Helsinki Hall: Used for recitals and chamber concerts, small conferences, exhibitions, and corporate events. 340 seats. Congress Halls A/B: Two halls that can be combined to form one big hall. Used for congresses. Up to 900 seats. Terrace Hall: Used for meetings, exhibitions and presentations. 300 seats. 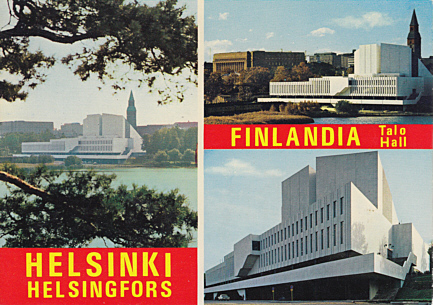 Front Text: "Helsinki / Helsingfors", "Finlandia Hall / Talo"
Reverse Text: "Helsinki Helsingfors Suomi Finland, Terveiset Hesingistä. Hälsningar fran Hesingfors. Greetings from Helsinki. Gruss aus Helsinki"
Front Text: "Helsinki Hesingfors - Suomi Finland"
Reverse Text: "Helsinki Hesingfors, Suomi Finland, Finlandia-talo, Finlandia-huset, Finlandia House, Finlandia Haus, Arkkit. Alvar Aalto"
Reverse Text: "Helsinki Helsingfors Suomi Finland, Finlandia - talo (Arc. Alvar Aalto)), Finlandia - huset, Finlandia - Hall, Finlandia - Halle"
Front Text: "Helsinki - Finlandia Hall"
Reverse Text: "Helsinki, Suomi - Finland, Finlandia Hall (built 1967-1975), Architect Alvar Aalto (1898-1976)"
Reverse Text: "Helsinki Hesingfors, Suomi Finland, Finlandia talon konserttisall, Finlandia huset, Finlandia Hall, Finlandia Halle"
Reverse Text: "Helsinki Hesingfors Suomi Finland, Finlandia-talo, Finlandia-huset, Finlandia Hall, Finlandia-Halle, Palais Finlandia, Architect: Alvar Aalto"